The Jason Hartman Foundation was established to assist young people learn how to build wealth and live The American Dream. Jason Hartman, having experienced the full range of learning offered in the public schools of Southern California, believes that important aspects of a well-rounded education are lacking in secondary education taught in many American schools today. Hartman believes that real life demands additional education. Young adults need to learn how to set and achieve their life goals and become successful in their careers. They need to learn the ways and means of achieving financial security and providing for a comfortable retirement. These things are not taught in most schools – they are left to trial-and-error and far too many people never learn them. Now, having achieved financial independence, he is devoting time and money to helping others follow in his footsteps. Jason Hartman has been involved in several thousand real estate transactions and has owned income properties in 11 states and 17 cities. His company, Platinum Properties Investor Network, Inc. helps people achieve The American Dream of financial freedom by purchasing income property in prudent markets nationwide. Jason’s Complete Solution for Real Estate Investors™ is a comprehensive system providing real estate investors with education, research, resources and technology to deal with all areas of their income property investment needs. The United States offers nearly 400 distinct and diverse markets while most media pundits characterize the “housing market” as if it were a single entity. We realize they do this to cram a cogent comment into a simple sound bite. Real estate cannot be described that simply. It’s just not accurate. There is NO such thing as a United States real estate market. However, there IS an Atlanta, Georgia or a Dallas, Texas real estate market. To that end, we at Platinum Properties Investor Network scour the entire country with an “Area Agnostic™” approach and select the most suitable and sensible markets to recommend to our investors so they don’t waste countless hours doing it themselves. Through our podcasts, educational events, referrals, mentoring and software to track your investments, investors can easily locate, finance and purchase properties in these exceptional markets with confidence and peace of mind. Visit www.JasonHartman.com and one of our investment counselors will provide your free portfolio makeover. We are here to help! 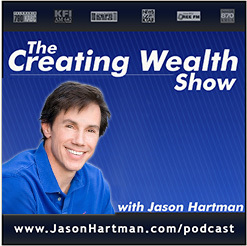 Jason Hartman is the Founder and CEO of Platinum Properties Investor Network, The Hartman Media Company and The Jason Hartman Foundation. Starting with very little, Jason, while still in college at the age of 19, embarked on a career in real estate while brokering properties for clients, he was investing in his own portfolio along the way. Through creativity, persistence and hard work, he soon joined the ranks of the top one-percent of Realtors in the U.S. and in quick succession; earned a number of prestigious industry awards and became a young multi-millionaire. Jason purchased an Irvine, California real estate brokerage firm which he expanded dramatically and was later acquired by Coldwell Banker. He combined his dedication and business talents to become a successful entrepreneur, public speaker, author, and media personality. Over the years he developed his Complete Solution for Real Estate Investors™ where his innovative firm educates and assists investors in acquiring prudent investments nationwide for their portfolio. 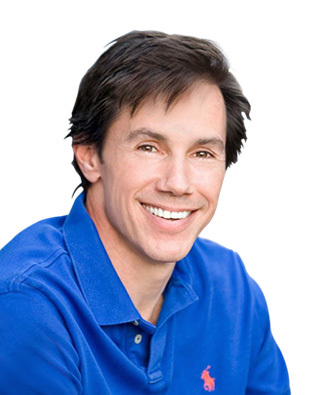 Jason’s highly sought after educational events, speaking engagements, and his ultra-hot “Creating Wealth Podcast” inspire and empower hundreds of thousands of people in 164 countries worldwide. While running his successful real estate and media businesses, Jason also believes that giving back to the community plays an important role in building strong personal relationships. He established The Jason Hartman Foundation in 2005 to provide financial literacy education to young adults providing the all important real world skills not taught in school which are the key to the financial stability and success of future generations. We’re in a global monetary crisis caused by decades of misguided policies and the cycle of financial dependence has to be broken, literacy and self-reliance are a good start. Contact us at www.JasonHartman.com or 714-820-4200. Honestly, I'm here with my husband to be educated and justify my 'NO' to his investing idea. At the break you had me. I'm excited to learn more! My rating 10++! Great Seminar!! Jason had great high energy. He's clear and interesting with a sincere quality. Jason came across like an expert. This was great! It’s a 10! I am familiar with LLCs, have one. But gave information to help us expand our empire. James made lecture interesting & gave easy to follow steps. Rating: 10. Great info Thanks! This course is great for the beginner or experienced investor. I look forward to attending more courses soon. I see the value in using your network. I am in the process of flipping a property, when it sells, I will use your network to bring in the diversified markets you offer. So much knowledge to gain! Times up but we want you to continue! Great down to earth real world presentation. Thank you. We give it a 10! I am going to tell my investor clients to attend a Platinum Properties investment seminar before they sink another dollar into investment property! Looking for Jason's brand assets? We're happy to have you use them. Just click download for a high resolution file.